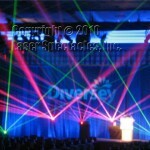 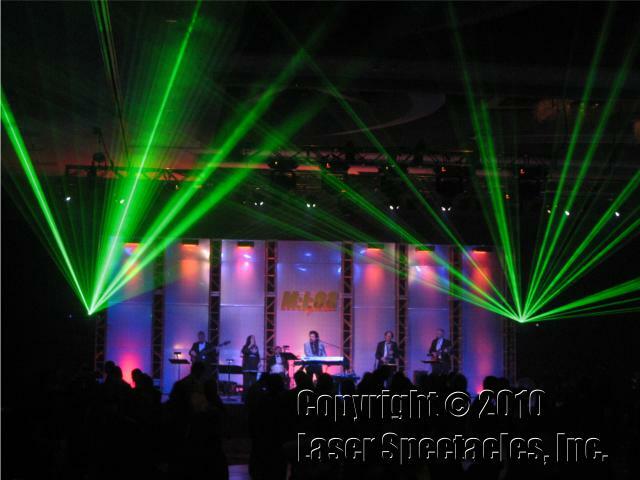 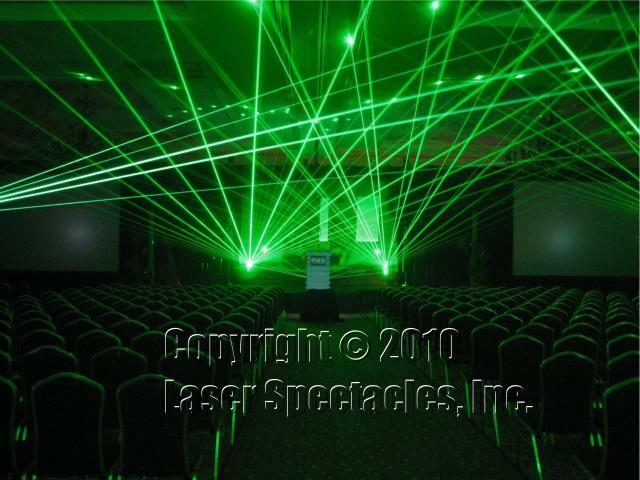 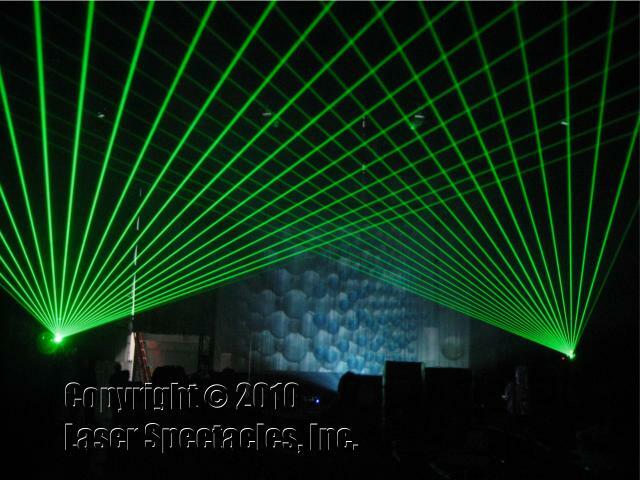 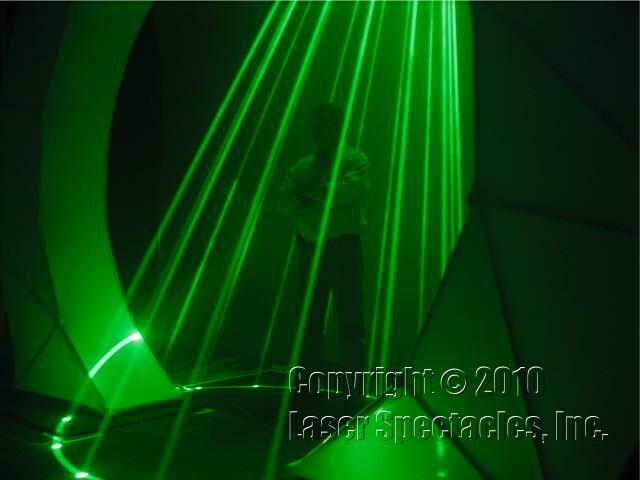 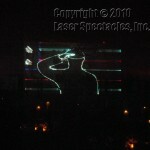 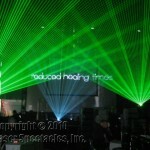 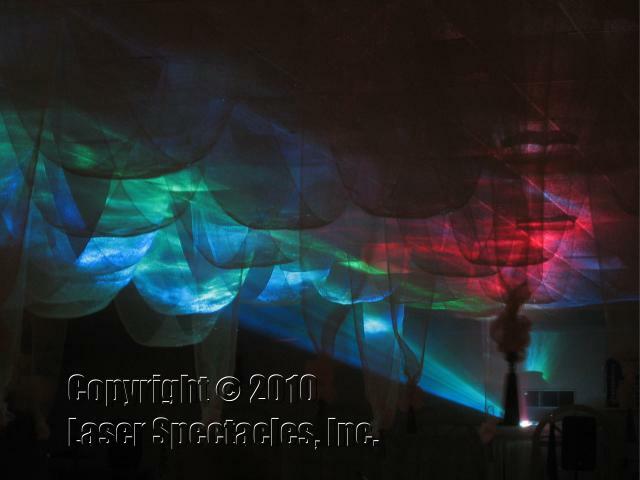 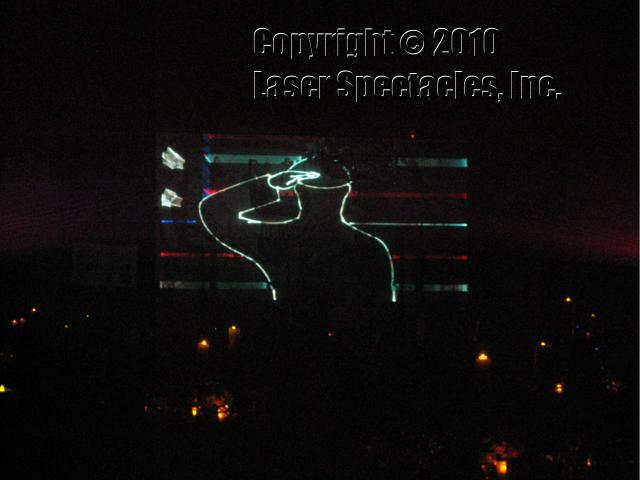 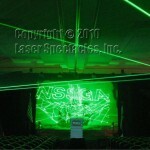 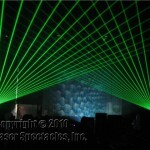 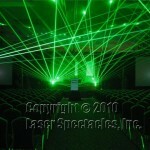 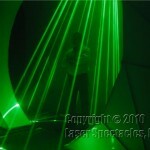 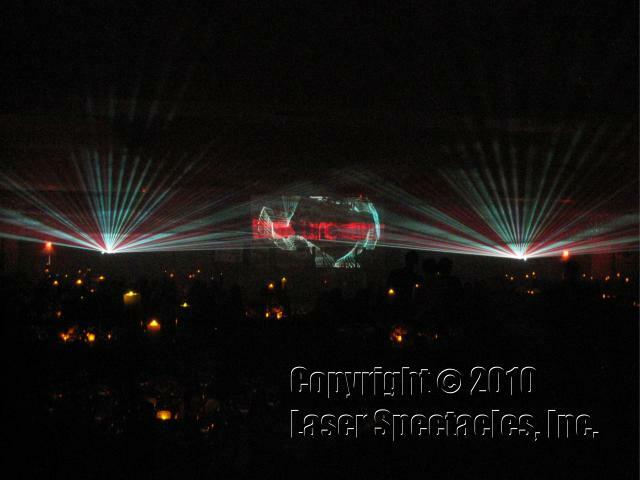 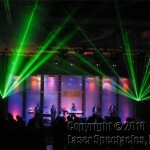 Light Show Texas | Corporate Entertainment | Laser Spectacles, Inc.
Laser Spectacles has performed many shows at meetings and banquets around the country. 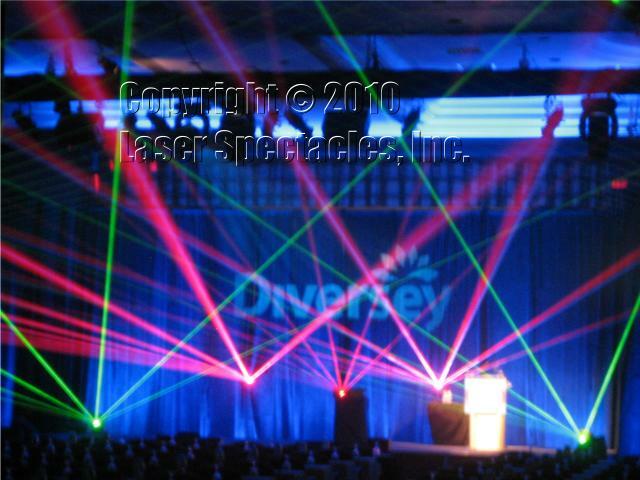 These are often held in hotel ballrooms, and our shows must be adapted to the “set” that our clients have created for their event. 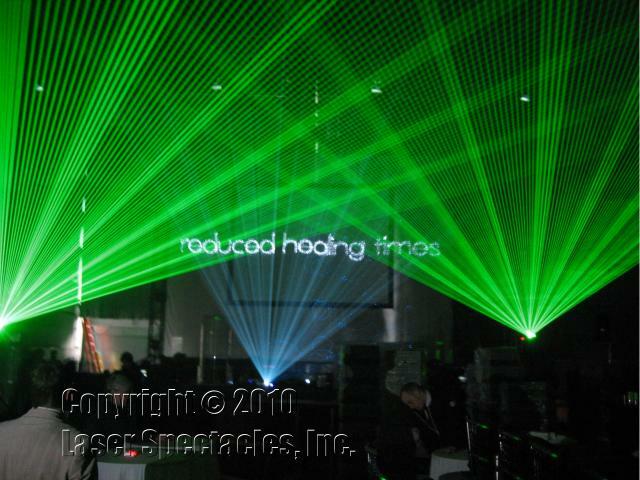 We are always looking for screens to project laser graphics upon, because everyone has logos and messages to communicate. 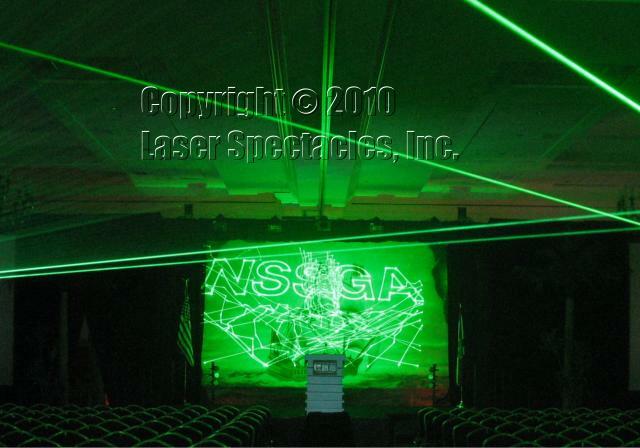 In some cases, a white backdrop is used as a screen; in other cases, installed video screens are used for laser graphics. 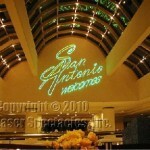 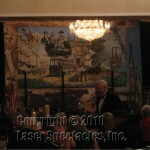 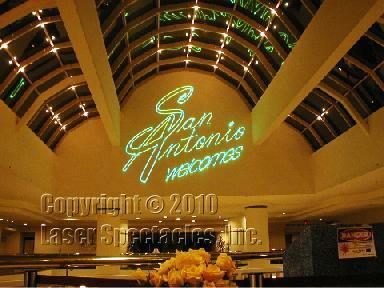 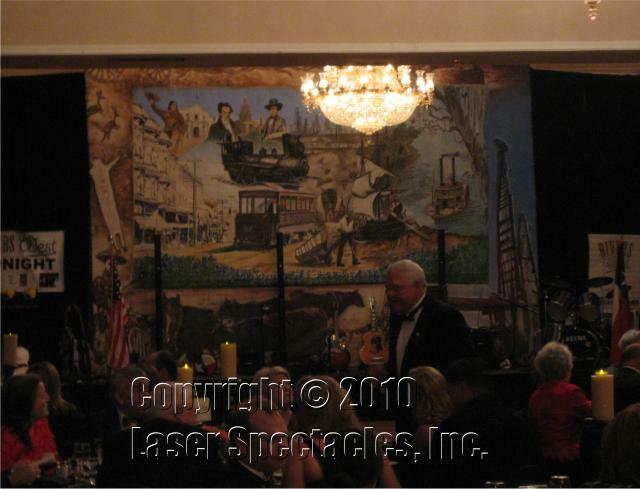 Laser graphics can be bigger than most video screens, so often we project directly onto the walls of a ballroom. 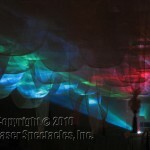 It is even possible, for a really magical effect, to project on to a curtain of falling water; a “water screen”. 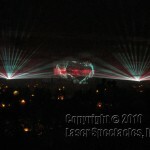 The water sparkles as it passes through the laser graphics, giving the images an other worldly quality, but enabling enough detail to communicate messages.